Spring is here and I am feeling motivated to take on some home improvement projects. Painting is a great way to update your home or apartment on a budget. Having just moved, there are a number of rooms that I would love to freshen up with some new colours. I’ve painted in the past, but I’ve never been thrilled with the results. For me, painting projects always end up being much more challenging and time consuming than I expect. This year, I am motivated to improve my skills and make sure I do the job well. Below are some of my favourite painting resources that I have found at the library. Part of the Black & Decker Here’s How series, I like this book because it is concise, covers many topics and includes lots of pictures. This is great if you don’t have a lot of time and want to make sure you are on the right track in terms of supplies, methods and technique. You can also find instructions on creating different specialty finishes, such as a terra-cotta finish, stenciled designs, stamped mosaic, or taped-off designs. 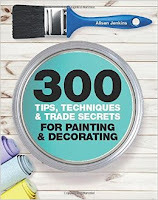 This book by Alison Jenkins is very detailed and offers tips and tricks for a wide variety of projects. An excellent book for beginners, Jenkins provides extensive advice on what tools to use for different projects (with pictures!). She also provides a large and detailed chapter on project planning and preparation. This book will guide you through your entire project from start to finish, making sure you are well prepared and ready to handle any issues that may arise. 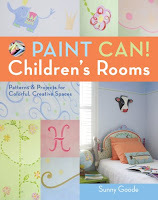 If you are looking at painting a child’s room, this book is full of fun, colourful projects that kids will love. The author, Sunny Goode, offers step-by-step instructions for such projects as vertical or horizontal stripes, checkerboard, an ocean wave pattern, flowers and vines, stars, and chalkboards. Projects are organized in the book by age group and include lots of handy photographs. 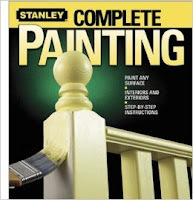 If you are only going to look at one book, Stanley Complete Painting is an excellent reference book. 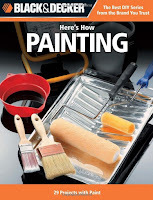 Covering both interior and exterior painting, this book provides concise, step-by-step instructions for painting pretty much any surface of your home. Trim, ceilings, walls, windows, doors, flooring, even furniture and swimming pools are covered. They also have excellent information on picking the perfect paint, primers and sealers, equipment, how to clean up and solutions for common problems.